Rutherford County Library System (RCLS) is comprised of five branches and a Bookmobile, serving the Greater Rutherford County community. 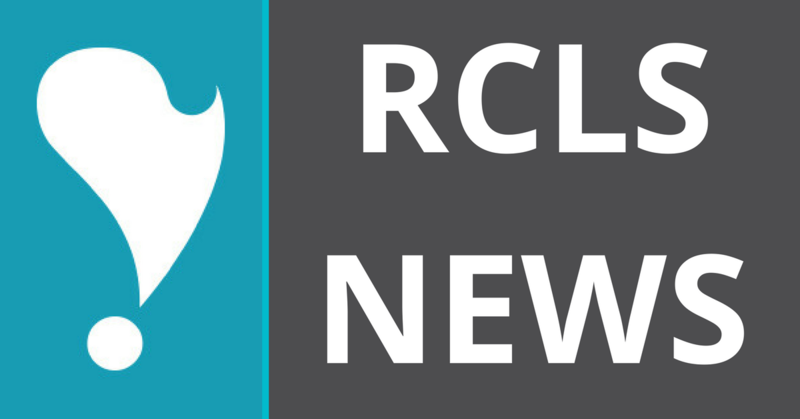 RCLS receives funding from three cities (Eagleville, Murfreesboro, and Smyrna) and Rutherford County, though governed by the Rutherford County Library Board. Rita Shacklett is the Director of the Rutherford County Library System and is appointed by the Rutherford County Library Board. 123 E. College Street, Suite A, Murfreesboro, TN 37130. Empowering communities to explore, imagine and engage. For a history of the TEC project and sponsor information visit rutherfordcountytec.org. GET A LIBRARY CARD? Getting a card is free and easy for area residents. All we need is a photo id and proof of address. GET AN ECARD? (Good for online resources and digital materials only. Come into one of our branches to upgrade to a full-service card for free). RENEW MY BOOKS AND MATERIALS? Click the link to renew. If you get a message that says a specific item cannot be renewed, please return the item to your local branch to avoid overdue fees. PAY FINES ONLINE? Click the link to view your current fines owed and pay via PayPal. If you have any questions about your account, please call or visit your local branch. RESERVE A ROOM? (Linebaugh Branch only) The room booking icon is in the top right corner of the website. FIND AN EVENT OR COMPUTER CLASS? The events icon is in the top right corner of the website. The full calendar is in the drop-down menu under events. Events can be filtered by type or location. LOGIN TO MY ACCOUNT? You can login through the website portal to see your library account activity plus any room or event registrations. Or, you can visit the online catalog for your library information only. Click here to go to your account via the catalog. PLACE A HOLD? Search for an item in the online catalog and place a hold for it using your library card number. Once the item is available, you will receive either an email or phone call which says you have four days to pick up your item at the specified branch location. FIND MY NEAREST LIBRARY? 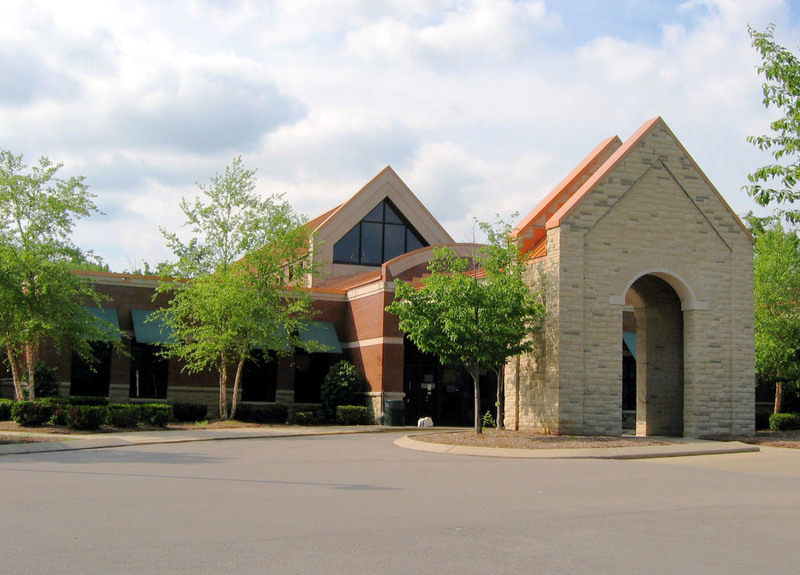 Rutherford County Library System has four locations to serve you. "It is a sad commentary that a city of schools such as Murfreesboro, a city supposedly of education, knowledge, culture and breeding, should have no public library" began Rutherford Courier Editor, Robert Lasseter's column on January 27, 1942. His efforts were instrumental in the creation of the library system that we know today. Henry T. Linebaugh, a Florida resident, and Murfreesboro native read the column and was inspired to make a $5,000 donation toward the creation of a public library in his hometown. His only stipulation was that it be named for his mother, Mattie V. Linebaugh. 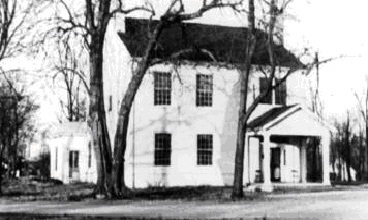 The Linebaugh Public Library was established in the winter of 1947 and formally opened on April 1, 1948, in the old Hale Home at Central Memorial Park with Myla Parsons as the librarian. The library collection began with slightly over 6,000 volumes of materials from Rutherford County schools, some purchased items, books on loan from the regional library, a few donations, and a $50 per month budget for books. The circulation for 1948 was over 40,000 books, including distribution to the schools, deposit stations in outlying areas, and over 1,200 borrowers. In May of 1950, the library received a bequest of approximately $30,000 from another Murfreesboro native, Emma Weitzel. 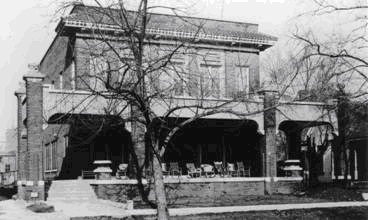 This gift enabled the library to purchase the old Elk's Club building on Spring Street, opening at this new location on September 9, 1953. By 1960, Linebaugh Library expanded to include a branch in Smyrna that was housed in two rooms of a local residence. It opened on October 17 with Jimmie Webster as the first librarian. In less than ten years, Linebaugh had once more outgrown its existing location. During the summer of 1961, the General Services Administration (GSA) released the deed of the old Post Office building at 102 West College Street to Murfreesboro and Rutherford County governments to be handed over to the Linebaugh Library Board. In August 1962, the library opened on West College Street with a new librarian, Briley Adcock. It was here that the library card system with an individual card for each patron was established. 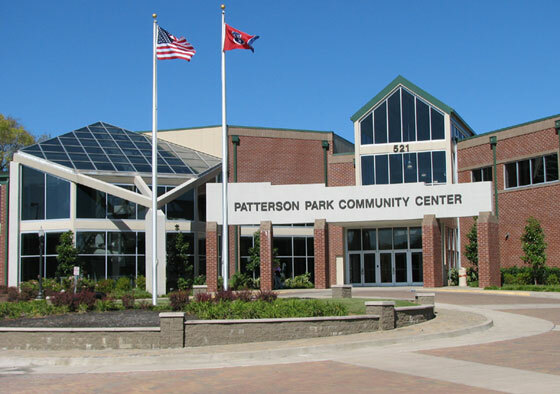 Over the next few years, both the Murfreesboro and Smyrna locations required larger facilities. A new structure was erected for Smyrna on Walnut Street adjacent to the local primary and middle schools opening on April 19, 1970. For Murfreesboro, an $81,000.00 addition to the Old Post Office building was constructed, and the new expansion was dedicated in April 1971. The new addition allowed the library to remain in the Old Post Office facility for an additional 15 years before the available space became insufficient. In 1987, plans began for a new building with the Christy-Houston Foundation giving the library a grant of 1.5 million dollars. The new location of Linebaugh Library at 105 West Vine Street in the Civic Plaza, a 34,000 sq. Ft. facility, was opened on June 15, 1992. After more than 30 years of service, Mrs. Adcock retired in the winter of 1993, and Rita Shacklett stepped in as acting director. In the spring of 1995, the library hired a new director, Laurel Best. Also in 1995, the library implemented its first automated catalog system, E.L.L.I.S. (Electronic Linebaugh Library Information System). The Smyrna branch opened in a new facility of 22,500 sq. Ft. on November 8, 1999. On November 23, 1999, the library system introduced its new computer catalog WebCat, a Sirsi Unicorn product, and several months later received a grant from the Bill and Melinda Gates Foundation providing public-use computers for Linebaugh and the Smyrna branch. In July of 2003, the Friends of Linebaugh Library purchased a used Bookmobile from the State of Tennessee after the Highland Rim Regional Library lost funding for their program. Having had great success with the program, the Linebaugh Library Foundation bought a new Bookmobile in November of 2005 and commissioned the exterior graphics to be done by local artist Norris Hall, celebrating regional landmarks. The library has experienced tremendous growth simultaneously with Rutherford County over the years. The budget, staff, and resources have multiplied many times over endeavoring to keep pace with the needs of the community. In ensuing years, new locations were added in Murfreesboro and Eagleville. The Myrtle Glanton Lord Library (MGL), named for the longtime educator, was opened on December 1, 2004, in the community center at Patterson Park and on January 1, 2006, the operation of the Eagleville Bicentennial Public Library was assumed by LPLS. In late 2005, library master facilities planners Dubberly Garcia Associates, Inc. implemented a planning study for the Linebaugh Public Library System. The result of this study, along with population growth projections, input from City and County government and community focus groups, helped determine that the library system needs to increase in size and locations to handle current demographic trends. 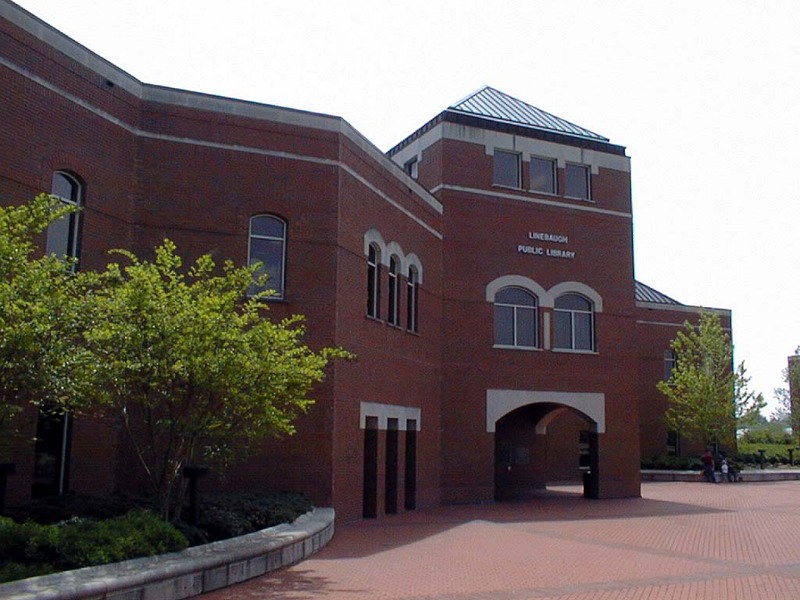 Linebaugh was named the public library recipient of the School Library Journal/Thomson Gale 2006 Giant Step Award for the most improved library in the nation and was given a $5,000 award. 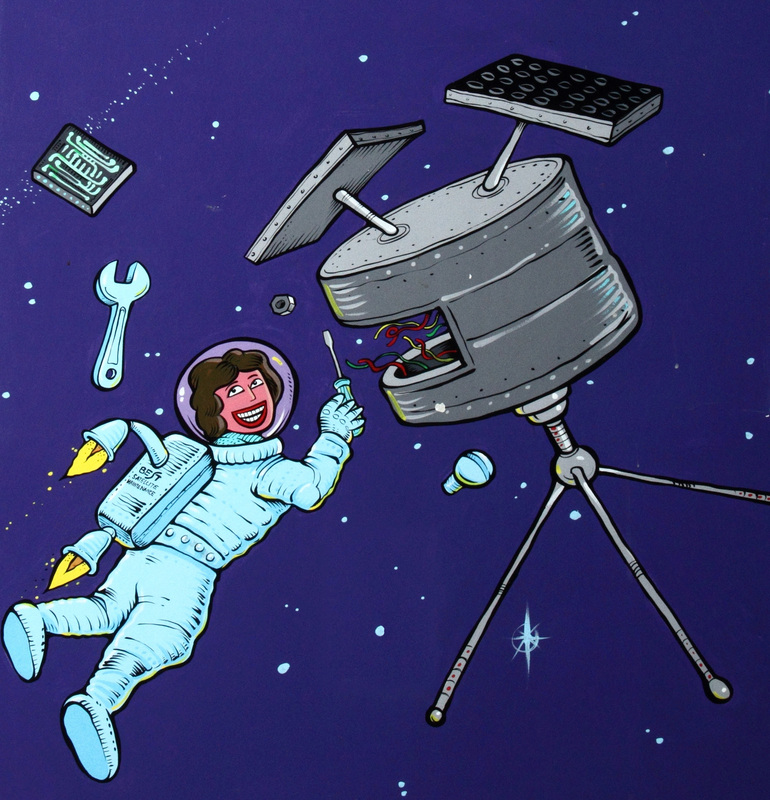 Laurel Best left in June of 2008 to take a director's position in Huntsville, Alabama. While the library board pursued a nationwide search for a replacement, Rita Shacklett filled in as the interim director. Ms. Shacklett was chosen in December 2008 to be the new director. She has served the library system since 1975 and had been the assistant director since 1985. In 2017, a groundbreaking was held for the Technology Engagement Center (TEC), which would be one of the first "bookless" libraries in Tennessee. The TEC would service the needs of individuals and families who do not have internet access in their homes, as well as provide meeting space for individuals and businesses. To better reflect the growth and changing services of our libraries, the Library Board voted in October 2017 to change the name of Linebaugh Public Library System to Rutherford County Library System. After 70 years of providing service, the library has undoubtedly exceeded the dreams of Robert Lasseter. His belief that "books are the route to knowledge" helped ignite the community interest in a public library, and the Rutherford County Library System will continue striving to meet the challenge of providing ever evolving free resources for the citizens of Murfreesboro and Rutherford County. RCLS is a governmental non-profit agency [509(a)(3), Type I] funded by Rutherford County and the Cities of Eagleville, Murfreesboro and Smyrna. All employees are governed by The Board of Directors of Rutherford County Library System and are not part of any city or county government. The Board of Directors of Rutherford County Library System consists of eleven (11) members, four (4) of whom are appointed by the City Council of Murfreesboro, and four (4) of whom are appointed by the County Commission of Rutherford County, two (2) of who are appointed by the Smyrna Town Council, and one (1) appointed by the Eagleville Town Council. The members shall serve without salary for a three (3) year term and no more two (2) successive terms. The City Council of Murfreesboro and Rutherford County Commission will also each apoint one (1) member of the Stones River Regional Library Board. These two Regional members will also serve as part of the Rutherford County Library System Board of Directors, with the same rights and privileges. The Board of Directors typically meets on the third Monday of each month at 5 p.m. with the exception of January and February when they meet on the third Tuesday due to the holiday schedule. Meetings are held in the Linebaugh (Main Branch) Board Room on the 2nd Floor and also at other branches of the Rutherford County Library System. Please check the calendar at rclstn.org to find the current month's meeting site. Please click HERE for the latest approved minutes of the Rutherford County Library System Board. You must be an area resident with current photo ID and proof of address. Children under age 18 must be accompanied by a parent/legal guardian with a current ID. Parents may grant permission for children to checkout videos and to use the Internet. By accepting a library card, you are agreeing to follow the Library's rules and policies in exchange for access to the Library's collections and services. You are agreeing to accept responsibility for all materials charged to the card, including fines and fees assessed to it. All library card information must be updated annually. Call or come by your local branch to renew your card. In order for another adult to pick up holds and/or pay fines or fees on your behalf, you must give written consent. Once consent is given, a note will be put in your account to allow them this access. E-books are available through our webiste. Visit www.rclstn.org, click on OverDrive and follow the instructions. Items can be placed on hold through our Online Catalog. There are NO LIMITS on number of checkouts for all items except DVDs, Blu-rays, CD Music, & Graphic Novels (limit 10). from your home or office computer by going to our online catalog. Your User ID is your entire library barcode number; the default PIN is the last six digits of your library barcode number. If your books are due and you are not finished, call us or renew online on or before the due date for renewal. Books and audiobooks - $.10 per day. DVDs, Blu-rays, HotSpots & CD Music - $1.00 per day. Maximum fine for all materials is $7.00 per item. Fines must be below $5.00 to check out new materials or use the public computers. Rutherford County Library System is obligated to attempt the recovery of all outstanding debt and/or library materials. To that end, patrons with fines or fees of $25 or more are subject to contact from Unique Collection Agency. A non-negotiable collection fee will be applied to the account of any patron who reaches this threshold. Patrons whose accounts have been sent to collection may establish a payment plan with their local branch library. The payment plan will involve an initial payment, followed by regular installments until the patron's record is once again in good standing. If your account is past due, contact the Circulation Department to make the necessary payment arrangements. You must have your library card with you to use a computer. Your account should be current, have less than $5 in fines. You are limited to three 1-hour computer sessions per day (Linebaugh & Smyrna locations only). Otherwise, the limit is two 1-hour sessions. Printing costs $.15 for black and white or $.30 for color. Your first $.30 of printing each day is free. To print more than your free pages, you must add money to your print account. Please take your library card to a staff desk. If you leave your computer inactive for 5 minutes, your session will automatically end. If you need to leave your computer, you can "lock" the computer. This will keep your computer session active and will prevent other people from getting on the computer during your session. To do this, click the Lock button and enter a password of your choosing. Your session time will continue to count down, even when the computer is locked. Items saved to the computer cannot be retrieved once your session ends. If you need to save an item, you should save it to a flash drive or burn a CD. Please take all cell phone calls outside of the computer area. There is no food or drink allowed in computer area. The Library makes the Internet accessible in accordance with its mission of providing access to information and resources to meet the needs of its constituency. The Library is CIPA compliant and has blocking software on all Internet terminals. The blocking software, or filter, is not a perfect system and due to its technological limitations may allow sites that could be harmful to minors and may block access to constitutionally protected material on the Internet. The Library may allow access to blocked sites for adult patrons 18 and over upon request. Information on the Internet may be reliable and current, or it may be inaccurate, out-of-date, or unavailable. The Internet contains material that is controversial and inappropriate for children. Library users access the Internet at their own discretion. Parents/legal guardians assume responsibility for anything their children may access on the Internet. The Library is not responsible if children violate Library and parental rules. The Library's computers are not under constant employee supervision. Attempting to modify or delete software and data, or installing other software onto the Library computers is not permitted, and will be subject to a revoking of privileges. Use of the Internet is a privilege, not a right, and violation of the Internet Use Policy will result in a cancellation of this privilege. 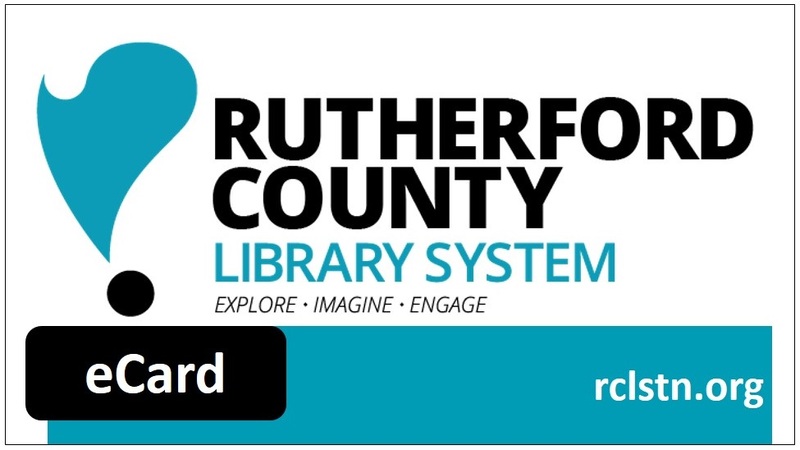 The Board of the Rutherford County Library System welcomes visitors and encourages them to use its resources. The board also acknowledges the necessity to maintain an environment in which patrons and staff can be free from harassment, intimidation, threats to their safety and well-being, and protects library resources and facilities from damage. To provide safeguards against such behavior and damage to property, the Library Board has adopted the following Rules of Conduct, which specifies the type of activities or behavior that is not permitted on library premises. These Rules of Conduct and related policies and procedures incorporate federal, state and local laws which govern illegal behavior, the Library Bill of Rights, the American Library Association’s guidelines for the development of policies and procedures regarding user behavior and library usage. The Rutherford County Library System offers a wide variety of computer basics, ebook, and special technology training classes. All classes are free and open to the public. Visit the Calendar and filter by classes to see the monthly list and locations. There is no food or drink in the computer area. 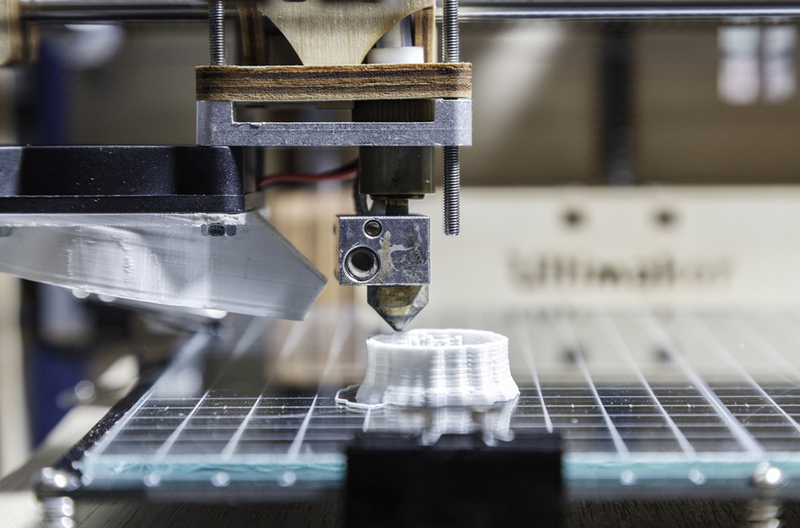 Visit Linebaugh, Smyrna and TEC branches to learn more about 3D printing availability. Cost is $5/hour of printing. 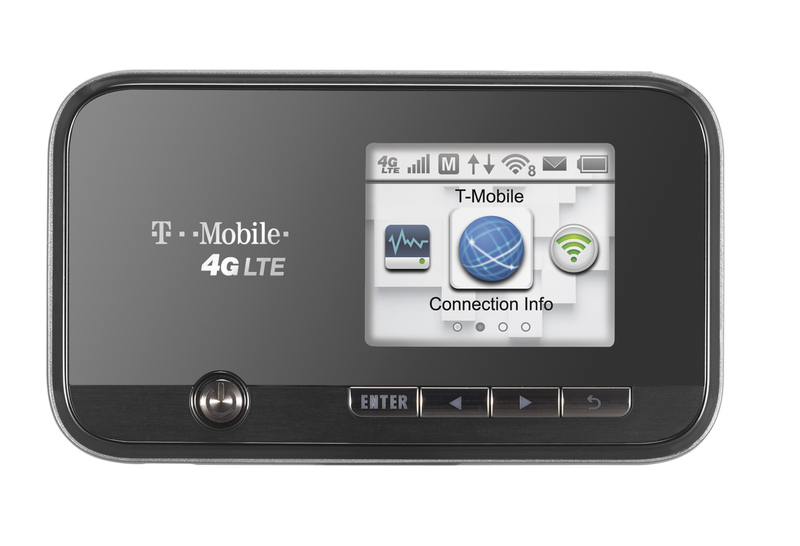 Check out WiFi Hotspots to get internet access on the go! $5 for one week check-out. No renewals. 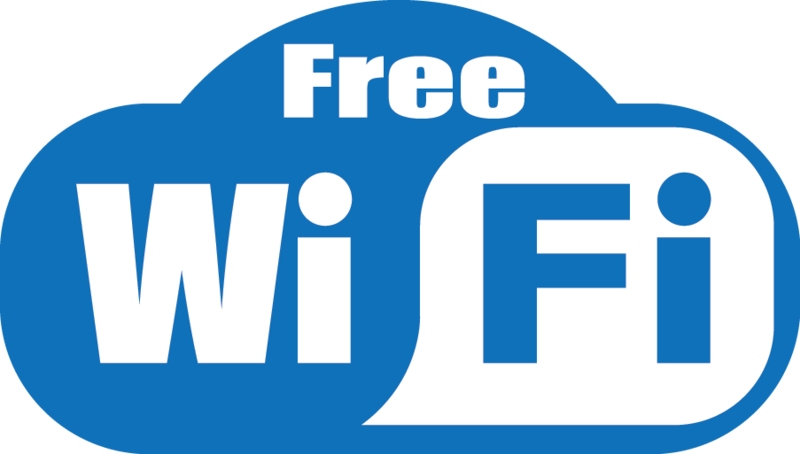 Free WiFi access is available at all LPLS locations. Due to the variety of hardware/software configurations, we cannot provide technical support; however, we do provide some guidance below. For additional help, check your computer's documentation, or look under Windows Help. Linebaugh Library does not use encryption on the wireless network. Although we have taken measures to secure the network, it is not foolproof. As such, wireless users are advised not to transmit any sensitive information. The library makes no guarantee on the security of information transmitted, and the decision of whether to transmit sensitive data is at the user's discretion. Further, it is the responsibility of the patron to protect their own computers from potential compromise by keeping their software up to date with the latest security patches, using a personal firewall, etc. Rutherford County Library System is always seeking volunteers to teach computer classes. Please contact Trey Gwinn at tgwinn@rclstn.org or 615-649-1358. The Friends of Linebaugh Library has a community outreach volunteer program. Persons interested in volunteering for events should fill out the Friends of Linebaugh Volunteer Form. Rutherford County Library System welcomes volunteers at each of its branches. Volunteers are needed to assist with: shelving, shelf reading, straightening books, phone calls, data entry, searching for books, filing, grant writing, assisting with programs, and other tasks. Volunteers should print out and complete an application and return it to the Circulation Desk at their chosen branch library. All arrangements and scheduling should be done by the volunteer themselves, regardless of age or circumstance. Rutherford County Library System has three non-paid working programs: General Volunteer (at all locations), TN Promise, and Court-Ordered Community Service(at Linebaugh only). Rutherford County Library System is always seeking volunteers to teach computer classes at our various locations. For more information, please contact: Trey Gwinn at tgwinn@rclstn.org or 615-649-1358. 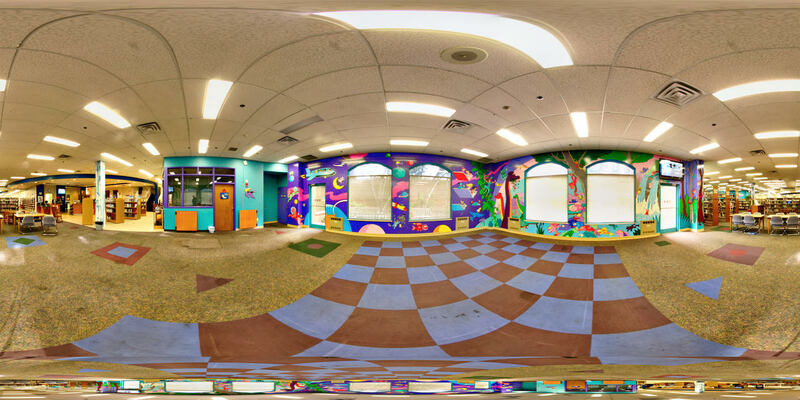 Linebaugh Public Library (Main Branch) was privileged to host for more than 20 years a mural in their Children's Area by local artist Norris Hall. Photographers Tom Womack and Bill Shacklett captured images of the mural prior to the 2018 renovation at Linebaugh. 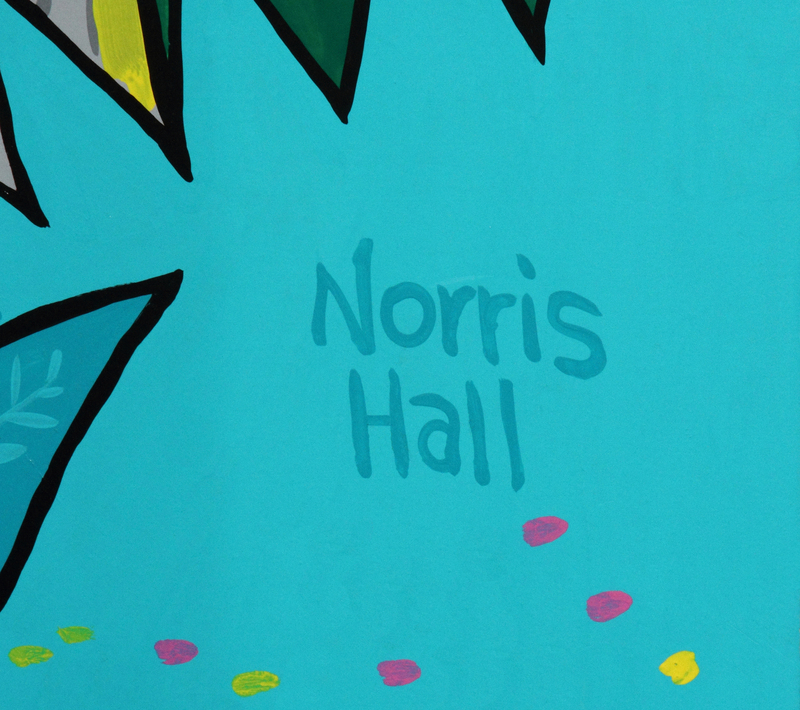 We are grateful to be able to memorialize the mural digitally. We also have a book of the photos in the Historical Research Room at the library.